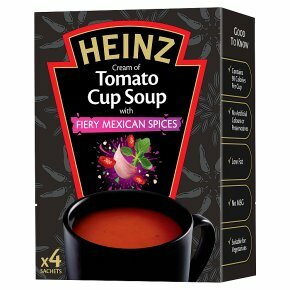 Cream of Tomato Cup Soup with Fiery Mexican Spices. How to make the perfect cup soup. 1. Empty a sachet into a cup or mug. 2. Add 230ml of boiling water. 3. Stir well & wait a few moments. 4. Sit back, relax and enjoy!